Come to Springwood Landing and enjoy the Florida Lifestyle at it's finest. 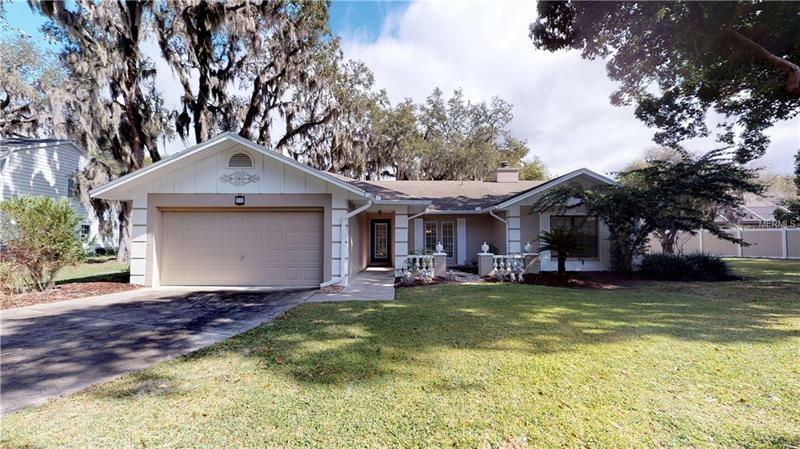 This very low HOA community has shared Lake Eustis Access and is located in a quiet area of Eustis near shopping, a hospital and easy drive to all the great nightlife and festivals in Eustis, Tavares and Mount Dora. This three bedroom two bath home is on a cul-de-sac and has new flooring throughout, new paint, new appliances that are still under warranty and sellers have the AC maintained annually. Sellers have lived in the home a max of 6 weeks a year since they purchased. One Year Home Warranty offered with an acceptable offer. Backyard is fenced and has an open patio for BBQing and a generously sized covered screened porch for lounging around and enjoying the gorgeous weather. The yard is larger than it looks so please ask your agent to show you the survey attached to the listing. Come make this one yours! !